I'm no stranger to beauty supplements. As we all know, how 'good' we look isn't just based on what we put on us, namely (topical) skin care and makeup, but also what we eat and drink. As well as our general lifestyle, of course. Since I don't have the healthiest of lifestyles, I do partly depend on supplements and regular vitamins to help me out a little. I don't like the idea of taking a lot of these specialized supplements on a regular basis though. In a way it feels like I'd be 'overloading my' body, that's why I choose ones which incorporate a lot of benefits in it already. Sometimes less is more after all. I got this box of Royal CoffTea (Php300.00 from BeautyMNL) from Leiania House of Beauty since it appeared to be chock full of those health and beauty benefits. Plus, I love tea! I know some of you are probably wondering, "what the heck is COFFTEA"? Well, it's a kind of fusion between coffee and tea. I'll get more into that in a bit! 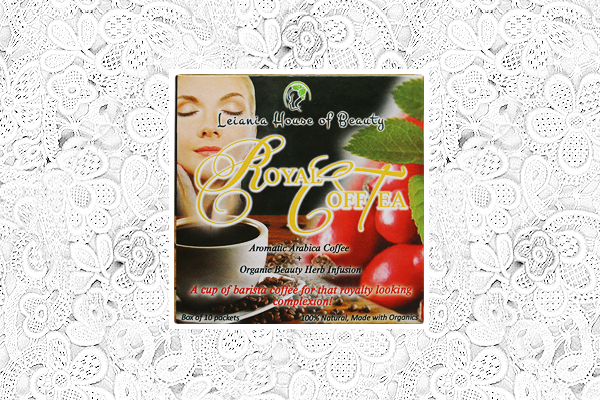 Product description: Arabica coffee from Papua New Guinea enriched with an organic beauty herb infusion. Features a delicate combination of acidity with a light body and a semi-sweet finish; infused with antioxidant compounds from organic rosehip seed, liquorice root, sencha green tea, and schizandra berry; vitamin C-rich infusion helps prevent free radical damage; energizes and restores; boosts skin whitening and rejuvenation, and general wellbeing; fortifies a number of organ systems including liver cleansing. Each box comes with 10 hygienically sealed tea bags. I drink this twice a day, morning and evening, but use each tea bag twice because I can't bear to throw away a bag after just one use. Of course the drink's maximum potency is during its first steeping (morning), but by using it twice at least I still get a little more out of it. So if I drink this everyday, it'll last me a little over a week. 10 days to be precise, hehe. I'll admit, Php300 is little pricey for something that'll only last you that short amount of time. Like I pointed out earlier, this drink boasts a lot of benefits. There's even more listed on this page. Aside from everything listed above, LHB claims that the schizandra berry extract in it increases mental clarity, promotes hormonal balance and healthy digestion, and even 'enhances moisture' in women's external genitalia to prevent dryness and infection. Yeah, it's starting to sound a bit out there, isn't it? Can one drink really live up to all these claims? Well, maybe some of them. I've been drinking this regularly for a little over a week already and though I didn't notice any big changes, I do feel a better sense of wellbeing overall. I feel generally healthier almost, and there are times I find I have a bit more energy than I normally would. Like at work, for example. This drink's main claim however is to give the drinker a 'royalty looking complexion'. In other words, it's supposed to give you better looking and healthier skin. No, my skin hasn't started becoming flawless and glowing, but I did take note that I didn't get as many zits as I normally do right before my period started. This seemed to keep them at bay. Perhaps thanks to its hormone balancing benefit? With the zits I did get, they were small, indistinguishable, and none of them got those nasty lil' whiteheads. Yes, it could have coincidentally been me also having a good skin week, but I do like to think this helped with that. As for the taste? It's definitely unique because it tastes sort of like a very mild coffee mixed in with tea. 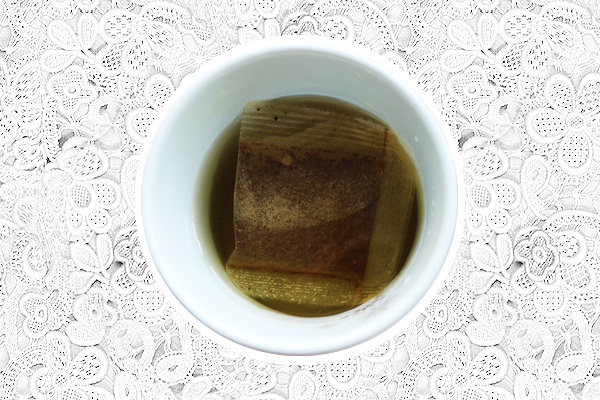 It's also prepared just like tea too since it comes in tea bags that you steep for about 3-4 minutes in hot water. You can drink it on its own, but I find it a little bitter so I add a little milk each time. It then tastes very similar to English Breakfast tea after. Will I buy another box? Maybe! I do feel like I'll reap more of its benefits if I drink it regularly for a longer time. Plus, I like the idea of drinking something that tastes like tea and is also supposed to be extra good for you, both inside and out. For now though, I'm going to keep my eyes open for other perhaps more 'immediately effective' beauty supplements and drinks to try. But who knows, I may purchase another box of this one day! Easy to prepare just like regular tea. Gave me a better sense of wellbeing overall and made me feel a little healthier. Boosts my energy levels somewhat. Tastes a little bitter on its own. It's best mixed with milk. While I do appreciate that each bag is hygienically sealed, I think it's also a waste of plastic since it'll immediately get tossed away. 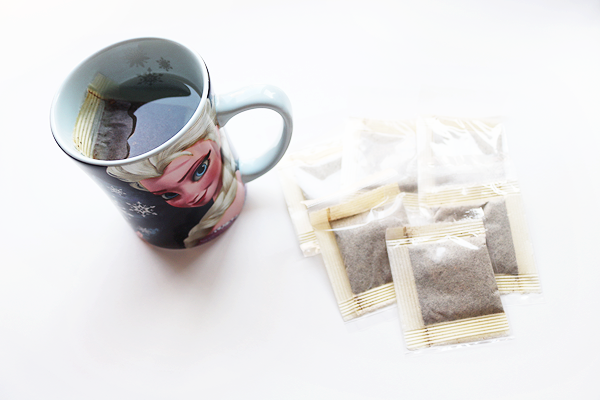 Perhaps all the tea bags can be sealed in one plastic pouch instead. I find it a little expensive for something you can easily finish in a little over a week or less.